There is not very much about the very first Self-Transcendence 24 hour race held in Ottawa that anyone now associated with organizing the race can still remember. The kind of exact records and details associated with nearly every current day race have somehow slipped away. It was after all 35 years ago. A time when hard drives were what you did when you got in your car and went from Halifax to Vancouver. No one today even knows which track it was held on, or the exact date in May when a brave band of runners appeared on starting line of a 400 meter track to do something that the world had rarely seen before. The little that we do know however is still pretty impressive. Starting in May of 1981 the Ottawa race has an unbroken streak, except for one year, that now stretches back 35 years. It just may be the longest continually held 24 hour race in the world. For the past few years the race, which now also accommodates a 6 and 12 hour event, has been held in the Louis Riel dome. 49 participants came to take part this year on September 26. The winner of the race will be the Canadian 24 hour champion. One thing that makes the research a little easier on the history of this race is that the indisputable fact that the great Canadian/Scottish Al Howie was one of the runners that first year. He not only won but he also set Canadian and North American records at the same time. His distance for the 2nd race in 1982 was even greater. He ran an astonishing 150 miles and 233 yards (241.726 KM) which pushed the record out even further. He was so intent on improving himself when he came again, that in the 3rd race in 1983, he ran all the way from Winnipeg to Ottawa as part of his training. Al Howie, an icon of endurance events would run a lot of miles and engrave some serious running history at the event for its first 5 years, and for a lot of other years afterwards in ultra races all around the world. What becomes clear when you attempt to gaze backwards across the many years, is that something so unique and challenging 35 years ago is now dwarfed in comparison to some of the huge distance races that are being held elsewhere. Multi day running, though still not commonplace, is no longer shocking when brought up around most runners today. 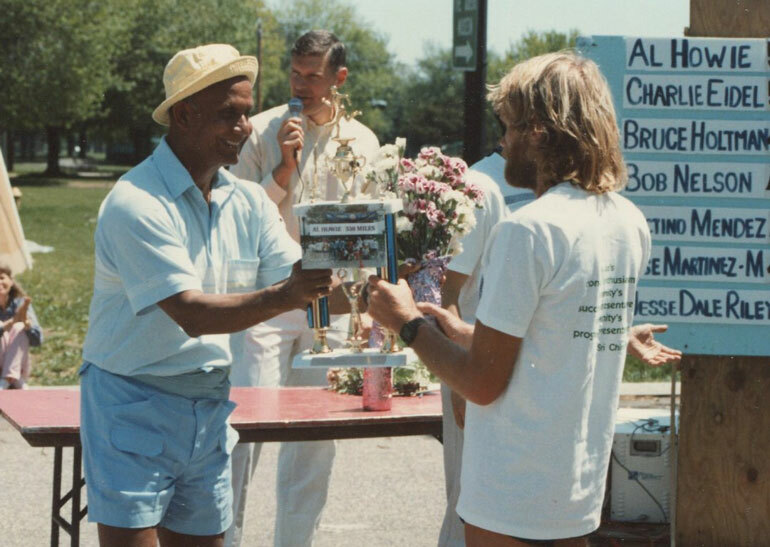 Sri Chinmoy, the founder of the marathon team saw early on that distance running would become much more common all around the world. That people would use the challenge of long races to test a runners capacity in every way. He first asked the members of the group in Ottawa to put on their first 24 hour race in May of 1981.